Yes, it’s true. Keri and I are a loving couple who would rather travel the world separately. December 24th, 2017. This was the day we kissed each other goodbye and flew to opposite sides of the world. We’d been traveling together for three months at that point, and we were ready for the adventure to truly begin. It was time to call our own shots. I ended up in Central and South America, chasing trails and visiting seedy black markets. 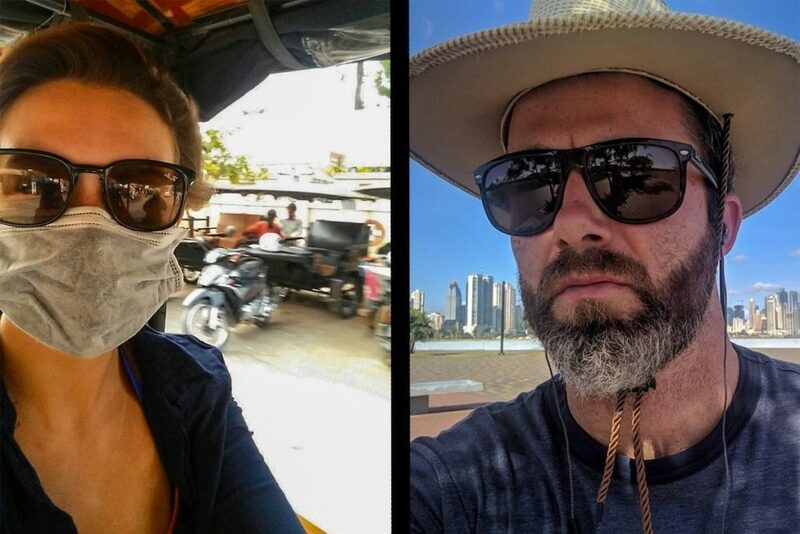 Keri flew to Asia, where she soaked in the sun and practiced new languages. We chose ten months of long-distance love over traveling the world side by side. And it worked. Our relationship became stronger as a result. Traveling apart for the better part of a year hadn’t weakened us. The life-changing moments we experienced apart actually brought us closer together and solidified our foundation. It’s a strange concept for some, so let me explain. Keri is not my “other half,” and I’m certainly not hers. That concept always felt odd to us, as if both of us were limping and sulking around at half-strength before we met. We’re our own unique people who get around the world just fine, regardless of each other’s presence. And this became abundantly clear to us once we started traveling together. Our breakthrough journey began in September of 2017 when Keri and I had just quit our jobs after saving money for two years. We were giddy and excited, it was time to experience the world together! The first 67 days of our trip were spent together, mostly crammed in my tiny 2005 Chevy Astro conversion van. Privacy was hard to come by; even 10 minutes alone was a rare occurrence. Sure, we had memorable experiences, but the endless ‘togetherness’ was beginning to wear on us. We were two ‘whole’ people trying to live out one mish-mashed dream. For us, spending long, unbroken periods of time around anyone is an energy drain. We aren’t hermits who avoid social interaction altogether, but we do require daily time alone to focus and refresh our spirits. Some people use the company of others to fill their internal tanks — those people are extroverts, and we are definitely not extroverts. So, when we were crammed in the van together, it began to take a toll on our ability to recharge. The little things started to irritate us. Song choices were frequently questioned and critiqued. Petty arguments arose out of nowhere. Sneezes and yawns landed like sucker punches. We were trapped in a rolling white box from which there was no escape. The love we felt for each other held strong, but we needed to give each other a chance to be functioning introverts again. We wanted our independence back. We need to see the world on our own terms. We’re stubborn. We both want to travel freely and have no desire to slow down or change course for anyone. Experiences evolve and flow more smoothly during solo travel — each day is yours to create. Sometimes, our travel priorities don’t align. During those cramped days in the van, Keri and I frequently discussed our travel goals for the coming months, and they were nothing alike. She was eager to see Asia, and I was dead set on visiting Central and South America. We didn’t have time to do both, and neither of us wanted to sacrifice our dream trips. We decided to divide and conquer. Solo travel offers more opportunities for growth. Traveling solo is a chance to immerse yourself and witness the world in motion, naturally and uninterrupted. It’s easy for the two of us to miss the subtle nuances of a new destination when we’re exploring together – we’re each other’s constant distraction. In new and challenging travel situations, the tendency is to turn to a familiar face for answers. Solo travel removes that comfortable crutch — the world is ours to figure out on our own. Solving problems alone creates more opportunities to practice foreign languages, meet new and fascinating people, chase our whims, and ultimately have a more authentic local experience. The unprecedented amount of time Keri and I had spent together had stunted our individual growth. We both knew this, and it wasn’t easy to admit. When we began traveling separately, we missed each other, but we also were excited to watch one another grow from afar. Choosing to travel thousands of miles apart was not an easy decision. We were both taking giant steps into the unknown and didn’t know the potential impacts that distance might have on our relationship. We made this decision as a loving couple, but life is impossible to predict. What if things didn’t work out as planned? Ultimately, we knew that choosing to travel separately was risky, but stagnation and resentment would be an even greater threat to our relationship. It was a tough decision to make, but it worked out very well for us. Traveling separately has worked out for us, but it isn’t for everyone. If you and your partner are considering long-term travel, weigh the pros and cons and talk it out. 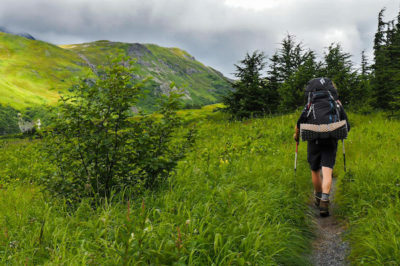 You’re likely to discover a suitable travel style that works for both of you. Insist on introspection and honest communication, and you’ll be more than halfway there. Just because you’re off solo traveling, doesn’t mean you’re taking a break from your relationship. Schedule quality time to chat and take full advantage of it. Even when there are thousands of miles between us, Keri and I remain close. Our travel lifestyles are usually busy, confusing, and disjointed, but we focus on connecting through the chaos of it all. Video chat, don’t voice call. The physical distance created by solo travel can be rough for couples, but video chat can take a bit of the sting away. Eye contact, body language, and facial cues are not an option during an old-fashioned phone call. Keri and I could feel the distance during voice calls from afar, but video chats always bridged the gap. Share and update your itineraries regularly. Better yet, send your friends and family itineraries as well. You want two or more loved ones to know your general whereabouts at any given moment. Change is a constant of the travel lifestyle, so updating your partner is the respectful and prudent thing to do — even when the effort involved is tedious. Do things together from afar. A long-distance relationship often needs more than a daily conversation to stay fresh. Choose to include each other in your daily lives, and you’ll feel more connected. Video chat meals together, simultaneously watch the same show on Netflix, introduce each other to new friends, and take one another along for trips into the city. The technology exists to strengthen your bond from almost anywhere in the world, so why not take advantage? Things can get a bit complicated when one partner is off exploring the world and the other is stuck at home as a passive observer. The couple’s enthusiasm, motivations, and goals can get thrown out of balance and resentment may creep in. In our experience, travel and growth are best experienced simultaneously. If you make the decision to travel separately, you’d better be each other’s most passionate motivators. Encourage your partner to pursue exciting and challenging opportunities — your support might be the push they need to step outside their comfort zone. Keri always pushes me to hike more, try new food, and meet local people. No matter how far away she is, Keri’s influence guides and enhances my journey. 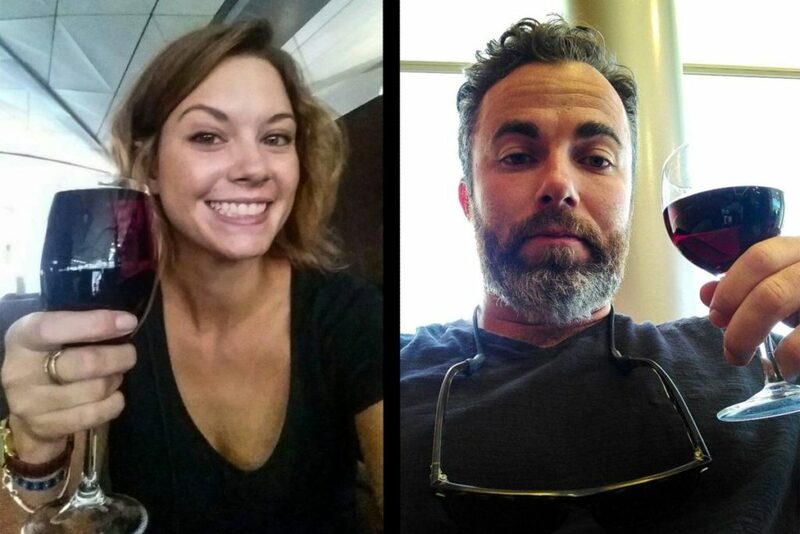 No, solo travel isn’t the only way Keri and I see the world. When our priorities align, we love to travel together, but with the option to have long stretches of alone time. We sometimes want different things. Let’s say I want to travel to Mongolia to embark on my dream trek, but Keri would prefer to go on a food tour of Seoul — that’s an example of when we’re likely to travel separately. For us, travel isn’t about making sacrifices, it’s about pursuing our individual ambitions. What are the methods we use to preserve our alone time? Here are a few things we do that keep us growing and fulfilled on the road. Keri and I may be introverts, but we don’t keep things from each other. Communication has always been a strength of ours. Holding feelings back doesn’t work for us, so we talk through our issues as they arise. We do this when times are good and, more importantly, when the times are tough. We’ve earned a vast amount of mutual trust and respect for each other as a result of our honest and open communications, something we couldn’t count on in our previous relationships. Without this shared appreciation, finding balance would be a nightmare — a collection of hurt feelings, missed opportunities, and half-hearted compromises. We’ve both been there before. Sure, sometimes our conversations can get emotional, awkward, or downright difficult, but we’ll never lose our drive to work through the tough moments. We owe it to each other. We give each other alone time. Solitude can be an excellent remedy for a cramped pair of introverts in a foreign land. We’ll schedule ‘complete freedom days’ when the rigors of travel have us feeling itchy. These are the days when we give each other permission to go out and do whatever the hell we want. San Fransisco on a crisp October morning was the setting for our first ‘complete freedom day.’ Keri and I were having trouble being jammed into a stuffy camper van for three long weeks with a panting 90-pound dog and a twin-sized bed. We started talking, and the decision was made: it was about damn time we had a day to ourselves. I walked Bubba around Golden Gate Park, watching baseball games and reflecting in the grass while Keri drank red wine and marveled at the beauty of the Academy of Sciences Museum. The space we gave each other allowed for us to call our own shots and clear our heads. We reunited after sundown and agreed that we needed more of these magical days. We stay in different hostels. Keri and I want to have the chance to miss each other – and, let’s face it, it’s hard to miss someone when you’re with them 24/7. We discussed this problem and came up with an excellent solution. Simply book beds in separate hostels. This allows us to have our own personal space (as much as is ever possible in a hostel) and use this to recharge alone. We usually give each other the entire day to do what we please, then meet up for dinner, excited and refreshed. No, staying in separate hostels isn’t something we do every time we travel together, but it’s our preferred method when we’re in ‘long-haul’ mode. It works incredibly well for us. 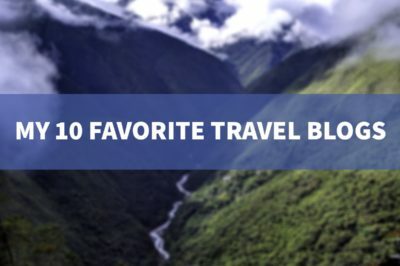 We enjoy the freedom of solo travel but also get to share our exciting and unique experiences with each other at the end of the day — the best of both worlds. Our early days of travel were rough. Keri and I were two stubborn introverts, reluctantly joined at the hip and pulling in different directions. Our style of travel was failing us, and we could feel it happening. We slowly put together a blueprint that let us each travel solo, as a happy couple. Our new approach to travel allowed us to be independent and decisive on the road without slowing down or sacrificing opportunities. We tweaked a situation that wasn’t working for us and turned it to our advantage. All it took was a little trust and communication. 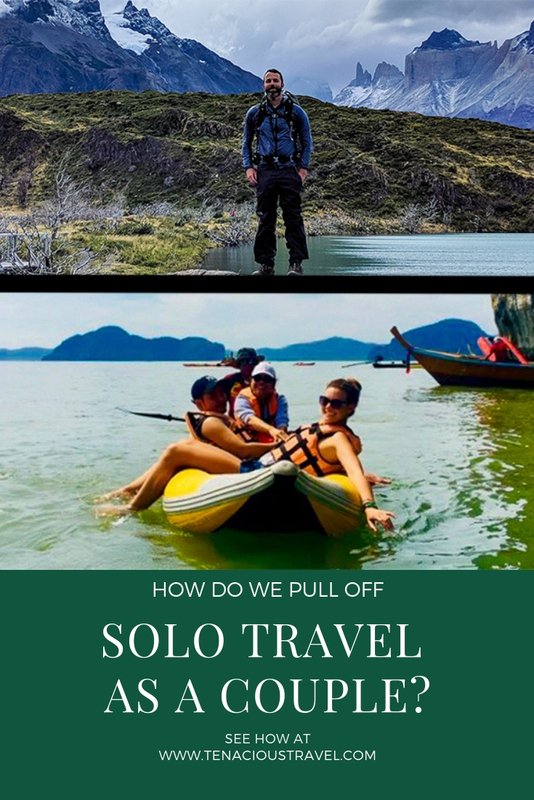 While our approach to travel may not work for every couple, our story shows that relationships can survive and grow, even during solo travel. If your collective travel goals aren’t being met, sit down together and have a heartfelt conversation. Whether you choose to divide and conquer or travel together as one, your dream travel scenario does exist. Now, create that scenario and go live it. 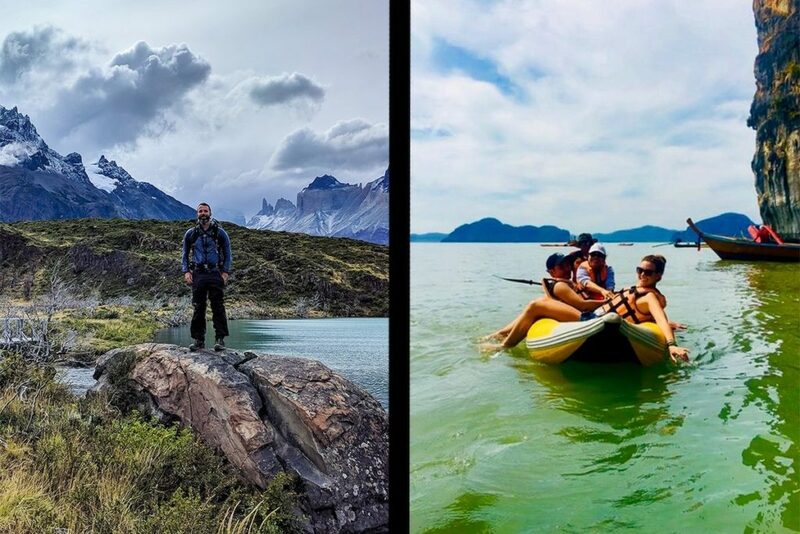 Nomadic Matt’s ‘Travel Tips for Couples’ – Matt is single and doesn’t have much of his own advice to offer on couples travel, but he offers up a heap of good advice through thoughtful guest posts and interviews. 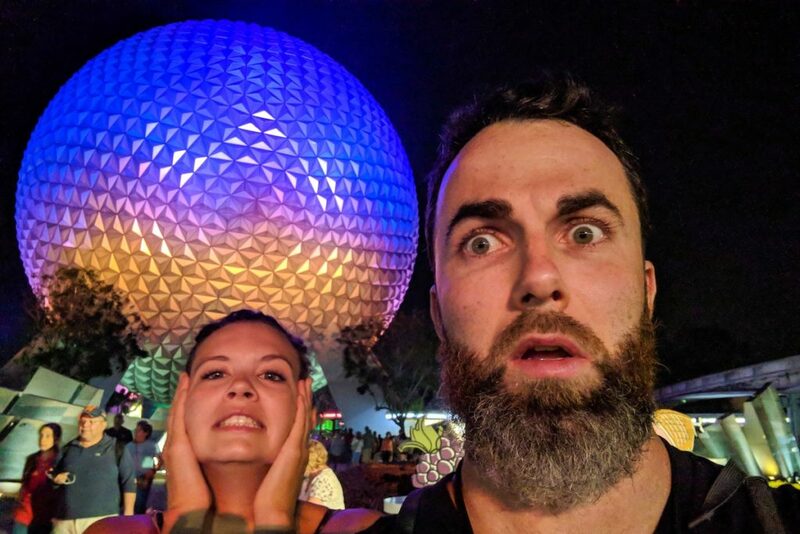 Y Travel’s ‘9 Tips for Couples Travel’ – Caz and Craig share their wisdom on how to embrace the annoyances and give each other space while on the road. Don’t Forget to Move’s ‘Tips for Traveling as a Couple: How Not to Kill Each Other’ – Staying alive to see the end of your trip is always a good thing. Jules and Christine will tell you how. 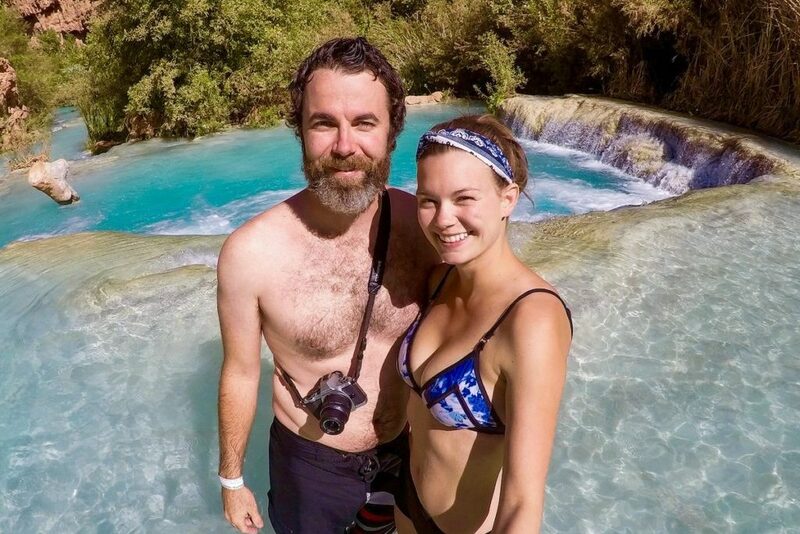 Have any couples travel stories or wisdom of your own? Any questions for me and Keri? Give me your take on couples travel by leaving a message in the comments below!